Rev. 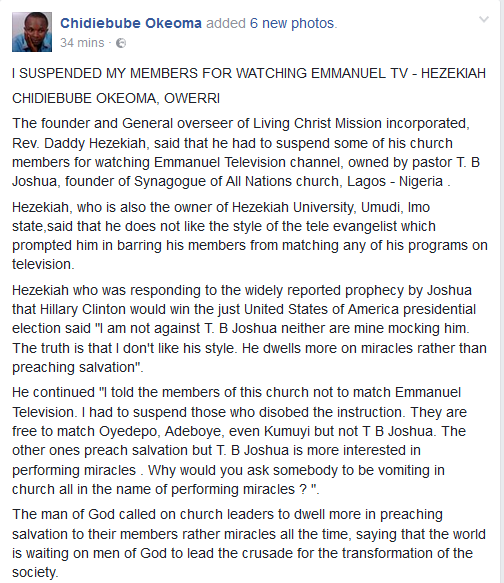 Daddy Hezekiah, the founder and General overseer of Living Christ Mission incorporated, has revealed that he had to suspend some of his church members for watching Emmanuel Television channel, owned by pastor T. B Joshua, founder of Synagogue of All Nations church, Lagos . Gospel Singer Nayaah Releases New Single ‘This Is My Story’ | Listen!